Browse > Home » What does a home inspector do? Usually, you call an inspector immediately after you’ve made an offer on a home. However, before you sign any written offer, make sure that it includes an inspection addendum or other language which says that your purchase obligation is contingent on the findings of a professional home inspector. We strongly recommend that your purchase agreement contain a home inspection contingency and that you should have a professional home inspection performed on the home you intend to purchase. Your home cannot “pass” or “fail” an inspection, and your inspector will not tell you whether he or she thinks the home is worth the money you are offering. 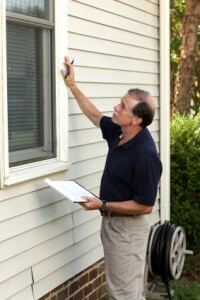 The inspector’s job is to make you aware of repairs that are recommended or necessary. A seller may be willing to renegotiate a price to accommodate needed repairs, or you may decide that the home will take too much work and money. A professional inspection will help you make a clear-headed decision. In addition to the overall inspection, you may wish to have separate test conducted to check for the presence of radon gas. Talk to Phil for information about these tests and companies in the area that perform them. In choosing a home inspector, consider one that has been certified as a qualified and experienced member by a trade association (such as A.S.H.I.). I may refer you to several qualified inspectors. Remember, the purpose of a home inspection is to help you learn things about the home that are not easily discoverable during your home-buying tour. IT IS NOT INTENDED TO BE A “LAUNDRY LIST” OF MINOR REPAIRS FOR SELLERS TO COMPLETE.